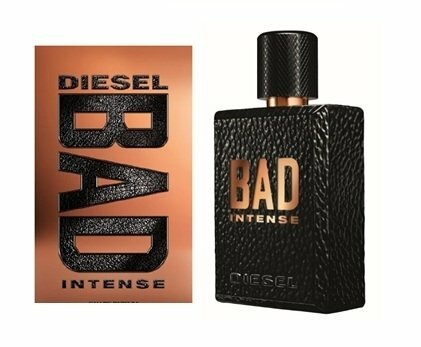 Bad Intense is a perfume by Diesel for men and was released in 2017. The scent is spicy-woody. It is being marketed by L'Oréal. Bad stays bad, upps, I meant bath stays bath! Oh, yes, bathroom. 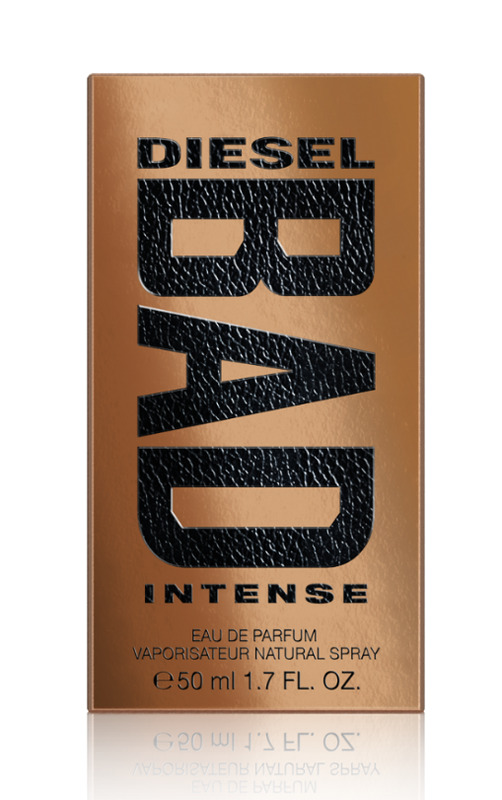 Back when I tried Diesel's new fragrance, I knew that some people had to like it just because of the way it was presented, but I wasn't one of those who liked it. Well, as always it's a matter of taste! Because extremely synthetic, extremely irrelevant with admittedly nice beginnings, bath was for me a smell, which disappeared simply only fast again into the irrelevance and I wanted to spray it actually also never again me. Well,... but one day it had to be again, and it had to be again, and it had to be now recently, because I tried the Bad Intense and wanted to compare it with the normal bath. Soo, the scent doesn't start bad in itself. I smell spices, but especially intense tobacco. That's okay, that's autumnal, so nice fitting for this season, so far so good. A few minutes later the fragrance becomes sweeter. The sweetness is also still nice and reminds me of slightly powdery tonka bean. The difference to the normal bath is that here the citric notes are completely omitted and the fragrance therefore immediately begins heavier. The iris and the light salty notes are also missing. Anyway, the smell isn't bad yet, it actually smells quite nice, especially if (indefinite) woods are added. Aaaaaber: After about 30 minutes the first synthetic notes become noticeable. But that doesn't have to mean anything bad, because many fragrances have synthetic notes. However, these notes are getting worse and worse, which means that it simply doesn't smell very pleasant anymore and also draws the fragrance down extremely, since this synthetic lets the fragrance appear extremely cheap a little later. And then the smell is on the level of the normal bath, with the difference that the normal bath smells bad from the beginning (in my opinion for me). Well, that's how the fragrance stays and smells mainly woody and spicy with a good dash of tonka bean (most of the tobacco has left by then), but these fragrances simply don't smell pleasant or beautiful because of the mentioned synthetics. The durability is therefore also really good with over ten hours (with me anyway, and I think he probably lasts longer than ten hours, but after so many hours it was just enough for me and I had to wash him,... and even worse, the sleeves of my sweater now stink even more extremely of this smell here *sigh* :D). The bottle is the same rectangular bottle as the normal bathroom. It's black and has an imitation leather-plastic look that you either like or don't like. In any case, the flacon stands out from other flacons. On the front is still big and in gold BAD on it, but this time the Intense is written under the BAD. Otherwise everything is as usual, handy and easy to spray. Personally, I don't like the bottle that much. Soo, that wasn't anything for me either. 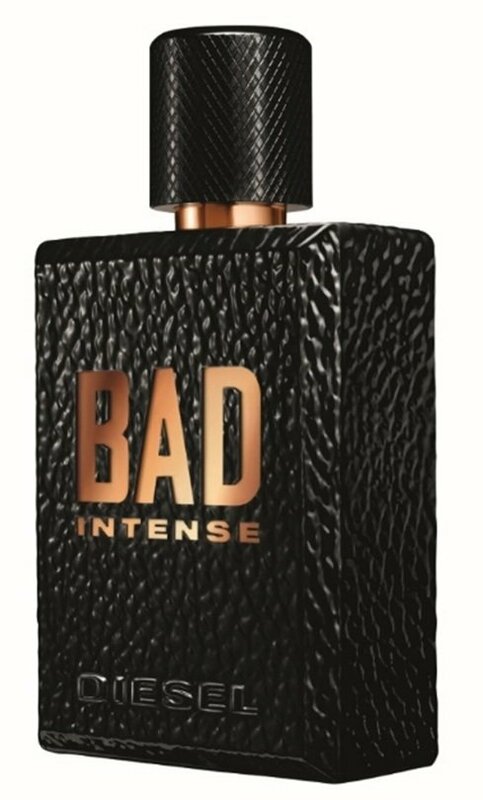 In spite of a nice start, this fragrance unfortunately also had a very synthetic and cheap scent later on, which for me lands in the category "once and never again! So it's no wonder that I flee to the women's fragrances now and then, hoping to get something nice under my nose :D Even if certain people still don't want to check this out for inexplicable reasons, or can't, that I just like to test and describe fragrances here, no matter if women or men's fragrance. There are three things to be said about this fragrance. It is a 20,000lb metallised HE bunker-busting amber bomb! Caviar!!? What the fulminate of mercury!? (I've just been apprised of a ~Caviar~ note in this 'fume!) This gets weirder & weirder! You know what, I absolutely adore this fragrance. Does no-one out there also like sometimes to just throw subtilty & finery to the winds, & just rock something that _seriously_ thunderously clappeth it on? I certainly do, and this is the instrument wherewithal to do just that! I discovered this in a crowded raunchy bar one Saturday night: the fragrance was just filling the place, and I started to try to narrow the provenance of it down to its source; but the task was rendered much easier by the rapport that easily arose between myself & the lady wearing it - arose _before_ in fact I had identified her as the source: which maybe goes to show that, as for people who like this fragrance, 'takes one to know one'! 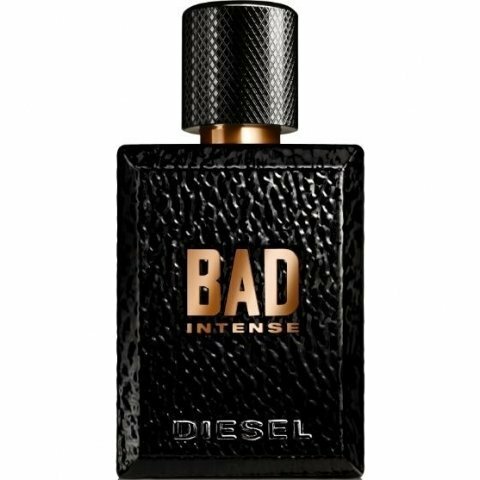 Write the first Review for Bad Intense!